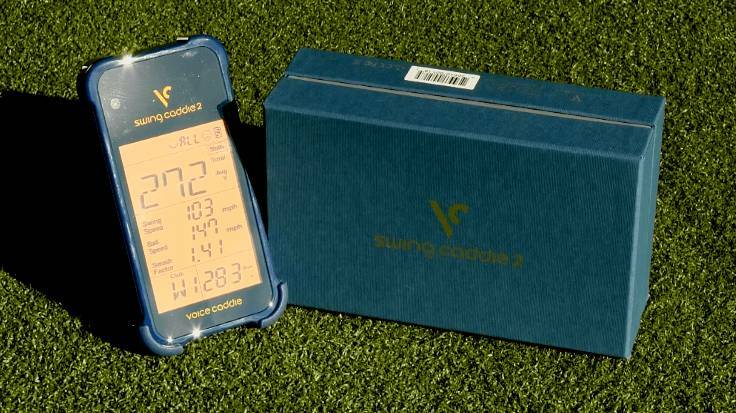 Swing Caddie 2 Review: Can you get cutting edge numbers without breaking the bank? 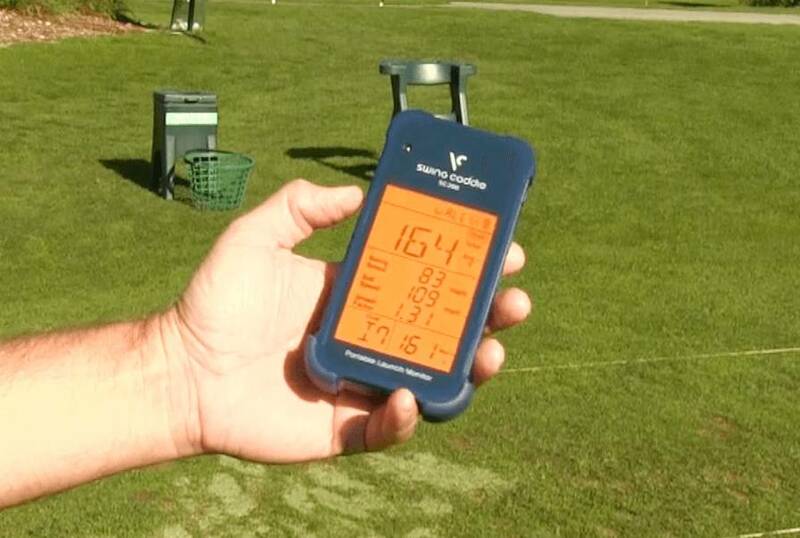 A launch monitor is a device that records what happens at the moment of impact. It gives you information including clubhead speed, smash factor, and ball speed. A launch monitor is invaluable when it comes to correcting your swing, tracking your progress, and improving your game. At the Todd Kolb Golf Academy I regularly use a launch monitor to clarify exactly what happens in a student’s swing. With this information, we can determine how to adjust their form for longer drives and greater control. Unfortunately, the launch monitor I use at the Academy is not exactly compatible with the average golfer’s recreation budget. In fact, our unit costs somewhere between $15,000 and $25,000. It comes with such a hefty price tag because our device is the industry standard, providing the most precise data possible. As a professional who prides himself on having the latest in information and the best in technology, I consider the launch monitor a necessary investment. But what if golf isn’t your career? What if you’re serious about improving your game but not serious enough to shell out tens of thousands of dollars on a training aid? Well, if you’re interested in using a launch monitor but you don’t want to mortgage your house to do it, you might consider the Swing Caddie 2. This unit is a portable option with a much more approachable price tag at $349.99 (or for even less). Now, if you’re like me, you may be wondering if a cheaper price tag means cheaper performance. How does this relatively low-cost unit stack up against the industry standard? To answer this question, I performed a field test using the Swing Caddie 2 side-by-side with our launch monitor at the Todd Kolb Golf Academy. 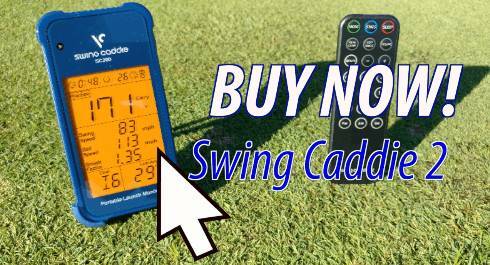 I compared the readings and made some significant discoveries about the accuracy of the Swing Caddie 2. But before we get into my findings, let’s talk about why you should care. If you’re practicing your golf swing without an instructor, you are only able to judge each shot based on how it feels, how far the ball goes, and where it lands. Now, these are all important elements in self-evaluation, but they don’t help you zero in on the moment of impact. How is your clubhead speed? Are you smashing the golf ball? 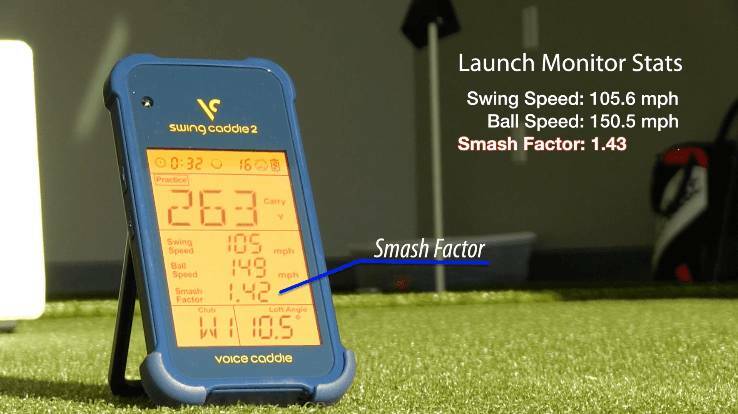 (Click here to learn more about Smash Factor) Are you achieving the ball speed you want? These are all things your eyes cannot tell you… but a launch monitor can. A launch monitor clocks a lot of vital information about each swing you take. It can tell you exactly what happens at the moment of impact, and those statistics are invaluable because the moment of impact determines distance and ball flight. To put it another way, the moment of impact determines the success of your shot. By recording your clubhead speed, a launch monitor can let you know how much energy you’re bringing to the ball in that forward swing. The smash factor tells you if you’re making clean contact for the best possible energy transfer from clubhead to ball. By specifying ball speed, a launch monitor can tell you exactly how successful you were in making that energy transfer. 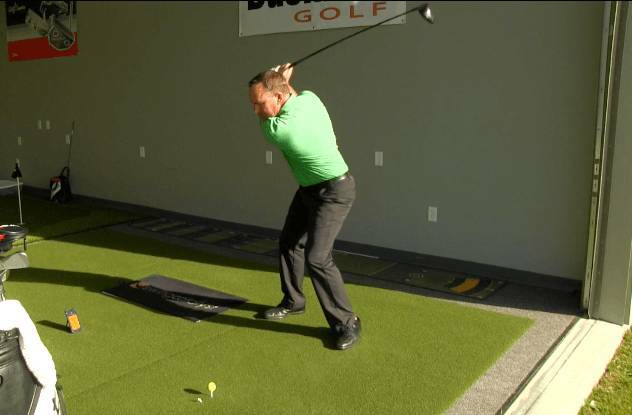 This information helps you determine where there might be a recurring weakness in your swing. 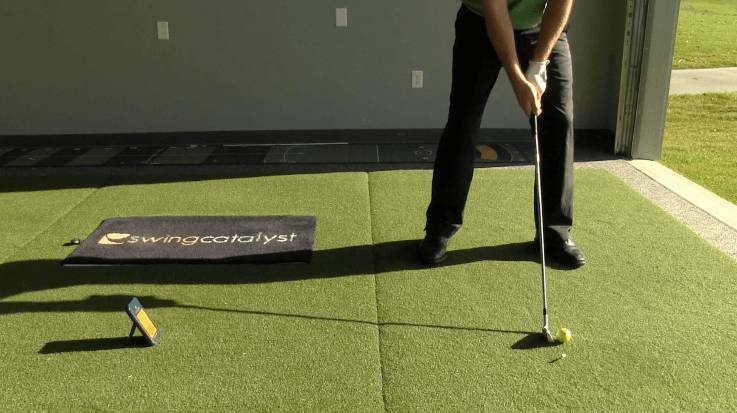 Pinpointing these weaknesses helps you tailor your practice time to meet the needs of your golf game. A launch monitor also makes it easier to track improvements. Sometimes progress happens slowly. It can be difficult to judge whether a solid golf shot happens because you got lucky or because you are genuinely improving your technique. Having your own stats on hand from a launch monitor means you are better able to judge yourself and your efforts. 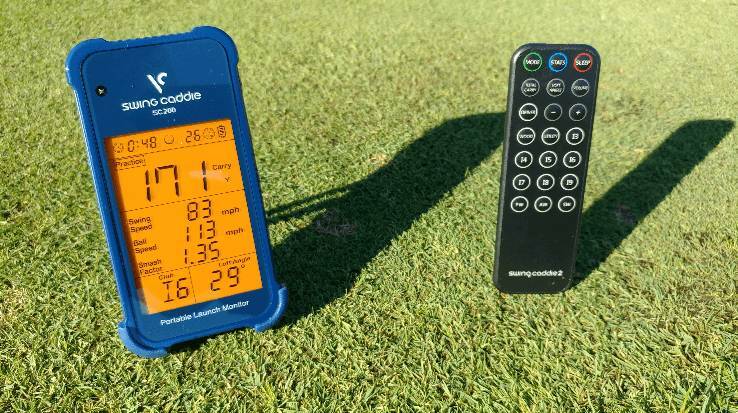 What’s more, the information you gain from a launch monitor comes in handy for club fittings. In short, a launch monitor can do a lot to amplify your skills and turn long-standing weaknesses into new-found strengths. Now, let’s talk about what you can expect from the Swing Caddie 2 in particular. The Swing Caddie 2 comes with simple, clear instructions for use. It also includes a remote control. With this, the remote enables you to switch settings without having to bend down to access the unit. Like all launch monitors, the Swing Caddie 2 tell you the carry distance, swing speed, ball speed, and smash factor on each swing. In addition, it also stores your stats for the last 100 shots and stores your average distance, speed, and smash factor for the day. This storage feature will help you recognize patterns and track improvement. Lastly, this particular launch monitor does more than help you evaluate your abilities; it also includes settings that test your ability to reach specific goals. You see, the Swing Caddie 2 features three different mode settings. First off, the Practice Mode gives you the stats for every swing you make. Second, Target Mode enables you to set a target distance, then gives you the impact data and scores you on how close you were to reaching your target. Finally, in Approach Mode, the Swing Caddie 2 sets random target distances for you so you can practice your accuracy and adaptability. Well, the “brochure” answer would be this: The Swing Caddie 2 uses Barometric Pressure Calibration and Doppler Radar Technology to ensure the most accurate reading possible. As you can see, the Swing Caddie 2 comes alarmingly close to providing a reading as accurate as the launch monitor I use as a PGA golf instructor. When using both units, the difference in distance readings was never more than 1 yard. In fact, the average discrepancy in golf ball speed is around 1 mile-per-hour. Clubhead speed was never off by more than 1 mile-per-hour. For every single reading, the Swing Caddie 2 was only a hair off from the industry standard. To be honest, I was surprised to see such an affordable unit stack up so well against my own industry standard launch monitor. The Swing Caddie 2 is every bit as accurate as you need it to be. Bottom Line: Is the Swing Caddie 2 Worth It? As a PGA golf instructor, I find my own industry standard launch monitor to be invaluable in helping golfers improve their game. Because of this, knowing the exact speeds and smash factor helps me rely on more than just my eyes as I help students pinpoint weaknesses and sharpen their skills. Therefore, if you’re serious about lowering your golf scores, a launch monitor is a great investment. 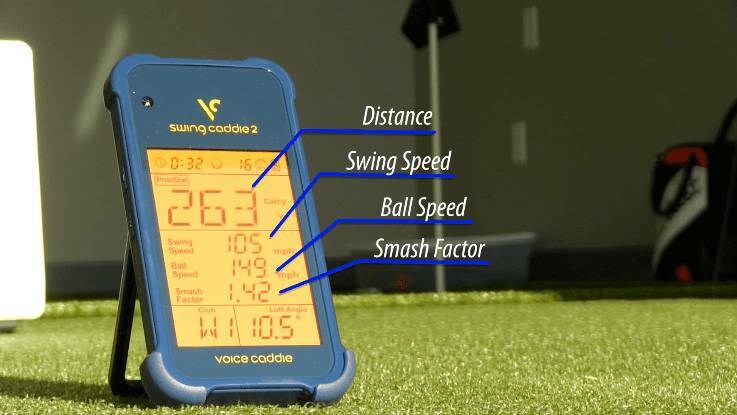 The Swing Caddie 2 has all the features you could want in a portable launch monitor. The remote control and Voice Distance Output make the unit extremely easy to use. The device includes three different modes so you can customize your practice time. And the near perfect accuracy of the Swing Caddie 2 makes it well worth the $349.99 price tag. 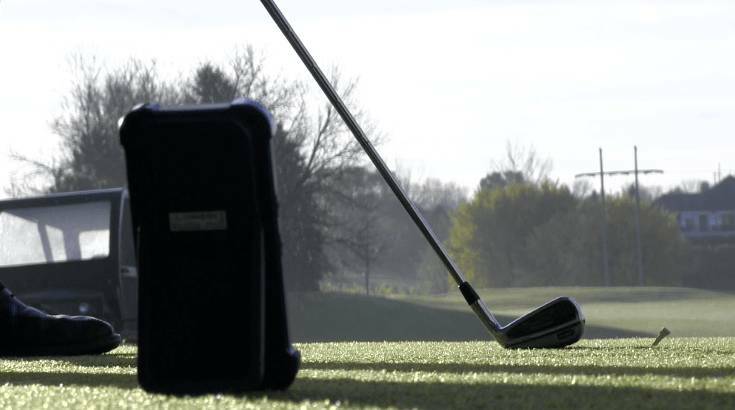 Now, if you’re serious about improving your golf game, I would absolutely recommend investing in the Swing Caddie 2. Do you have any insights on training with launch monitors? Any questions about the Swing Caddie 2? Leave a comment and tell us what’s on your mind. We love hearing from you, and we are eager to tailor our content to meet your needs. Let’s talk golf! I just received my swing caddie sc200. All excited but not sure what I am doing wrong. I hit a 5 iron 165-170. I am registering 61-76 yards. Am I doing something wrong. It is set up directly behind the ball about 4 yards and hitting into a Net Return. Hi Jim, thanks for the comment. Without being there to help troubleshoot, I would recommend moving the unit closer to the ball, maybe 3 or 4 feet away. You can also email support@voicecaddie.com if you have more questions. Thanks!